McDonald’s UK marks the beginning of its festive promotion with a fun new campaign that’ll see the British public encouraged to dust off their vocal chords and embrace the festive spirit. Christmas is a time for families and friends to gather together and it’s also about the time spent with each other on the journey to their final festive destination. The campaign, which is the latest iteration of the brand platform ‘Good Times’, is centred around a new advert that explores this classic festive tradition - the journey to Christmas - and the role that McDonald’s plays during these memorable trips. Created in partnership with Leo Burnett London, OMD UK and Razorfish, ‘The Journey to Christmas’ 60 second TV campaign features a young family making a long car journey just before Christmas Day, joyfully singing together the well-known Christmas classic by Wizzard, ‘I wish it could be Christmas everyday’. They break up the trip with a visit to McDonald’s. The call to action at the end of the advert encourages the people of Britain to film themselves singing this same song whilst on their own Christmas journeys and uploading it to a brand new festive themed hub on www.mcdonalds.co.uk. Each video entry will be in with a chance of starring in a special 90 second Christmas day advert, played on the ad break of the most watched programme – Coronation Street. 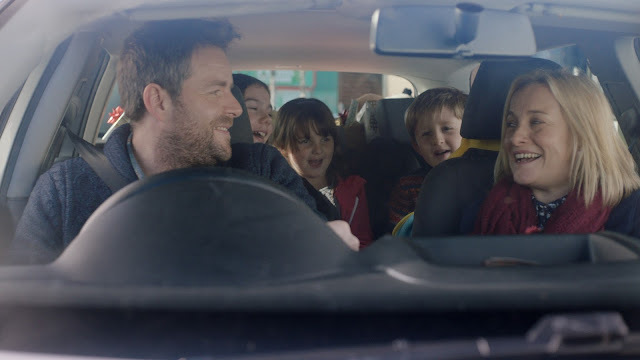 The advert will give insight into those ‘Good Times’ created on Christmas journeys, showcasing people from all across the country singing along to a festive classic. The ‘Journey to Christmas’ campaign will be supported in a number of different ways, including a paid partnership with Heart FM, a fun cab-i-oke experience touring cities across the UK and a McDonald’s restaurant in Southampton being transformed into a Winter Wonderland.